Ten-year old Jon Fix, on the left, is eating watermelon, eight-year old Bear sits on the table, and the boy wearing glasses is Tom. 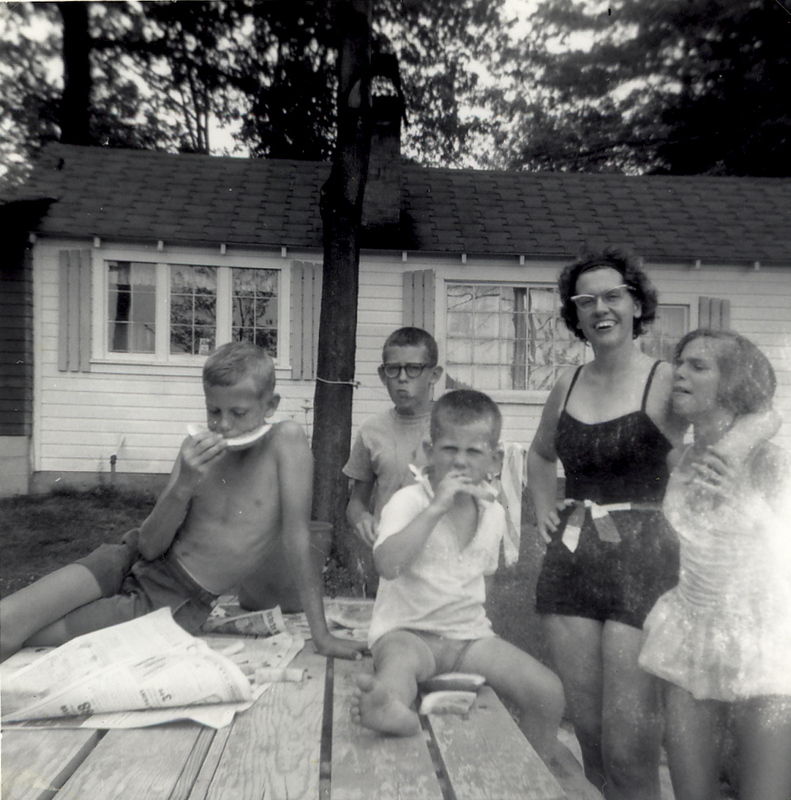 Elsie Fix, their mother stands to the right wearing a bathing suit, and her arm is around her daughter Ann, age twelve. In the background is the cottage. Title by cataloger. Morgan Mills is a chain of lakes near Greenville, MI. Note by contributor, "My grandparents rented the cottage for a week at Morgan Mills. The cottage had a fireplace inside. It was hot that summer and the kis all wanted to have a fire because they had never rented a cottage with a fireplace before. The kids used to play hearts and catch bullheads in the front yard at night. They tied a fishing pole to the dock, and they would all run outside to check if they had a fish."